✅ Trip Verified | I want to thank an on duty Police Officer and the local Vicar for their help in assisting me in finding my iPad which had been left by mistake in security. They were able to gain access back through security for me to retrieve said item. Travelling alone is a difficult enough experience, but this really was frightening, the two of them leapt in to action to help me and thankfully we found it without the need for further investigations. It could have been a very different outcome without their help and I want to say how grateful I am and hope that you will be able to trace the people concerned from the date, time and flight number on my boarding pass as I would like to commend them and pass on my gratitude. 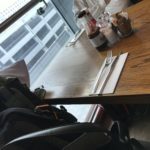 Not Verified | I was travelling with two buggies and all my luggage, and a terminal manager assisted me by helping me push one of the buggies all the way to the departure check in. He provided outstanding customer service! I don’t know what I would have done without him! "advice is to avoid Gatwick North"
✅ Trip Verified | Well the North Terminal is one step away from the low standards which Stansted fail to achieve daily. The Border force had 10 of the epass gates closed or out of service resulting in queues at the 3 manned EEU gates. Some person who is not customer facing decided not to use the aircraft stands nearer the main area and park the easyJet flights next to the A380 from Dubai, compounded the problem at the border with the lack of gates open. Maybe the airport management should stick to playing with a Lego City airport as they seem to be totally unable to operate a real airport. I have never seen a member of a railway station staff open the barriers and wave people straight though the barrier. Maybe its a plan to exact excess fares from people at the other end. My advice is to avoid Gatwick North unless you want to see how poor the country has become. "airport has gone seriously downhill"
✅ Trip Verified | This airport has gone seriously downhill. It is very much catering for the budget market these days (EasyJet have an entire floor for check in) and even Virgin desks are largely replaced by inefficient unmanned check in robots. The duty free hall is like a really bad (cramped) IKEA experience and don’t even get me started on the weatherspoon bar! My advice, if you can fly from Heathrow for an extra £50, pay it and go there instead! Not Verified | Depressing airport. No atmosphere, and the food is awful, especially Jamie's Restaurant. A very confusing Commercial mix, with no concept definition. "Border of control the rudest"
Not Verified | Border of control is one the rudest I have seen in my life. So many silly stupid questions that did not lead to anywhere. I'm American citizen and the guy was having a fit because I did not have a flight number on the landing card. He also asks me the reason for my visit which I explained and then was told that's not right. I was asked 4 times if I was going to be there less than a week like what am I going to in your country mate? Asked how much I make a month ? And how do I afford to travel? If I was on leave? What's my occupation? After all these questions he said I could come to their country. That was my welcome to London. 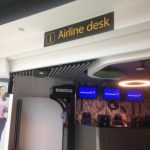 "Staff were helpful and courteous"
Not Verified | We arrived from Tenerife late at night family + infant and found no airbridge being used (saving fees?) so we trecked up dirty stairways along dirty dull coloured hall ways with ambiguous signage. Eventually to immigration where we have to fill out forms because the airline hadnt bothered to hand them out. Staff were helpful and courteous. Pass through the sad duty free shopping eventually escape. This must be one of the crummiest airports we've been anywhere in the world. "Avoid it at all costs if you can"
✅ Trip Verified | I am a 30 year old female, I have traveled before and have never been treated like this. 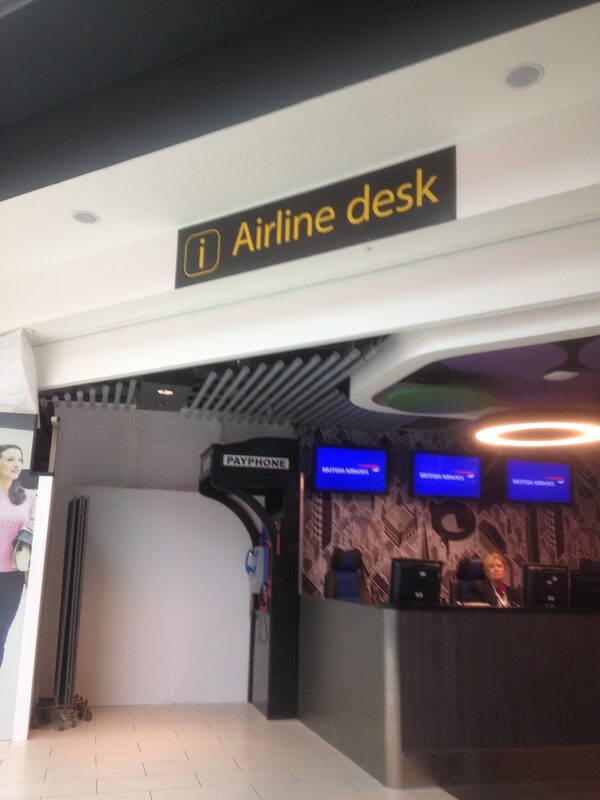 The staff at this airport are awful, rude, uneducated and just mean! Avoid it at all costs if you can. I suffer from panic attacks and agoraphobia (basically irrational fear / flight-or-fight mode, especially in open crowded places, triggered by stress), thanks to them I suffered a severe attack and even when I told them I was having one they didnt care and kept treating me rudely. I was left in tears and humiliation. Totally awful experience. And as I said I'm a regular traveler. 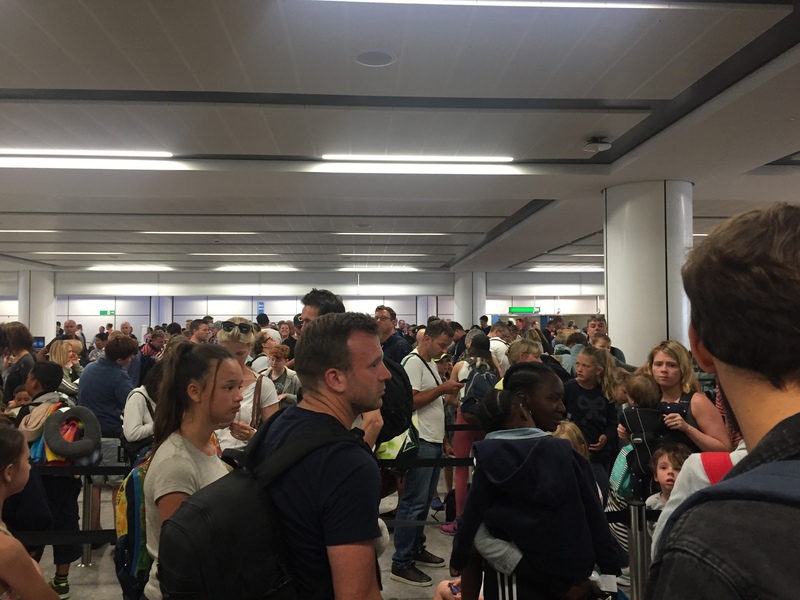 "one of the worst airports in the world"
✅ Trip Verified | Gatwick Airport has to be one of the worst airports in the world! It is on a par with Miami International Airport which I now refuse to fly to even for connecting flights. Once we had landed in the North Terminal it took us one hour and twenty minutes to collect our bags and connect to the South Terminal as well as having to walk for something like 15+ minutes to reach immigration. The airport is really badly laid out as well with the need to go up and stairs or using escalators several times on the way. The direction signs are poor and not always readily visible. The Fast Track facility was heavily overloaded - it was almost quicker to use the standard facility for your hand luggage control and the staff are not particularly helpful or friendly and the standards seem to change each time one goes through in terms of what needs to be removed from your hand luggage to be controlled separately! Why this is the case is difficult to comprehend. Passage through the airport once one is through immigration etc. is like slaloming on overcrowded ski slopes. Quite frankly there is nothing positive to say about this airport which seems to get worse each time we have to through it! 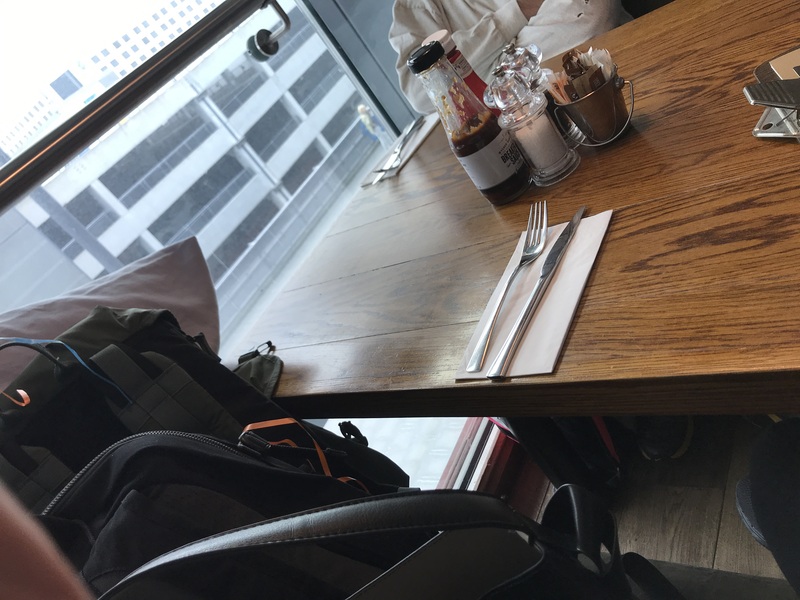 One word of advice is to use Heathrow or London City wherever possible and if you use Gatwick you should avoid taking a connecting flight as with luggage you need plenty of time - probably two hours - particularly if you need to change terminals. To summarize a very frustrating and depressing exercise! 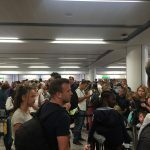 Not Verified | After using Virgin Atlantic departing from Gatwick South for years now, having to use their new site of Gatwick North was disappointing and I wondered why VA relocated to the North. The airport is dreary, dull, boring and does not have the best shopping experience you have using the South terminal. No wonder I was given vouchers to use the V Lounge as there was really nothing else to do here. For an international departures airport, and I don't include flights to Belfast or Jersey with easyJet, it leaves a lot to be desired. Certainly not looking forward to visiting this airport again.